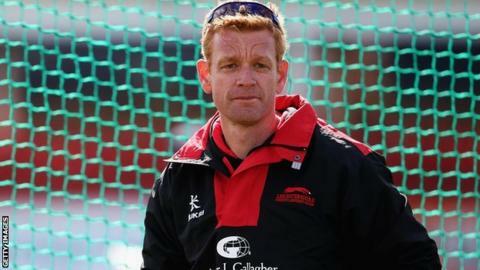 Leicestershire head coach Andrew McDonald says this week has been a "pivotal moment" after four players committed their futures to the club. Angus Robson, James Sykes, Rob Sayer and Clint McKay all signed new deals with the Division Two side this week. McDonald told BBC Radio Leicester: "Not many guys are in the peak of their careers yet, that's the exciting part. "This week, to me, is the pivotal moment in the club going forward with these guys signing on." He added: "If you get a bunch of guys that are aged 27 to 31 as your core, you win a lot of games of cricket and we've got to keep this list together. "We get our guys into 26, 27, 28 years of age, if we keep that list together we can do amazing things."